This is the most thorough guide to understanding product development and all its intricacies. The core of any product development stems from: Define - Build -Test. Or Learn - Build - Measure. Operative word = Build. Andrew Maynard, an architect based in Australia said it best, "Product development will always outstrip our understanding of risk, but there is a lot we can do to narrow that gap". In this new guide you'll learn about product development, idea screening, prototyping, business analysis and market strategy. Each step works in concert with the other as they relate to your overall product development strategy. Chapter 1: What is Product Development? Bonus Content: Download our Product Development Strategy Guide as PDF. Easily save it to your computer or print for reference for your next product. In business and engineering, new product development (NPD) covers the complete process of bringing a new product to market. There are key steps in any new product evolution. studyMarketing.org wrote an incredible article on the 12 Steps for New Product Development. Product development converts an idea into a physical form and identifies a basic marketing strategy. 1. Idea Generation - a continuous, systematic search for new product opportunities. 2. Product Screening - poor, unsuitable ideas weeded out. 3. Concept Testing - presents the consumer with a proposed product and measures attitudes and intentions at an early stage. 4. Business & Financial Analysis - detailed version of the product screening stage. 5. Product Development - converts product idea to physical form. 6. Test Marketing - observe performance under proposed marketing plan. 7. Commercialization - introduce product to its full target market. Start of the product life cycle. Building a product that your customers will buy because they love it is the difference between the billion dollar company or the bankrupt company. It all starts with Ideation- "the creative process of generating, developing , and communicating new ideas, where an idea is understood as a basic element of thought that can be either visual, concrete, or abstract." Earlier this year, Bill Donlus, wrote an article for Huffington Post. He refers to Ideation as a reinvention of traditional brainstorming. "It is a technique that involves both the left and right sides of the brain to allow breakthroughs from entrenched habits of thought and persistent difficult problems. It also helps participants avoid the circular thinking of channeling ideas along a constrained path that often occurs when individuals brainstorm together." "Specific screening criteria need to be set for this stage, looking at ROI, affordability and market potential. These questions need to be considered carefully, to avoid product failure after considerable investment down the line." During screening the company evaluates whether to dedicate further resources to the development of a product at various stage gates. Is there a potential market for the product? Will the product meet the demands of their consumers? Can the product be profitable? Part of the ideation and screening process is to clearly define a problem and end with a proof-of-concept prototype. Bolt walks you through how they conduct their problem research with developing buyer personas. "Spending more time here will ensure founders lay a strong foundation for the rest of product development." They go on to discuss understanding your problem space first with customer development interviews. In Bolt's article, they include key takeaways on handling conversations to build your customer personas; which are semi-fictional representations of your ideal customers. Building your buyer personas will help you gain insight into your customer's needs and buying decisions. David Meerman Scott, International bestselling author of The New Rules of Marketing & PR, adds "organizations that take the time to understand their buyer personas escape the trap of selling to the wrong people at the wrong time." Do you think gaining this insight will transform your business? What's the difference between proof of concept (POC) and prototyping? The first shows a product can be done. The second shows how it will be done. The prototyping methodology allows you to design a working prototype or early sample of what's to come. This subject is so comprehensive, we recently dedicated an entire article on: Prototyping Methododology: Steps on How to Use It Correctly. If you don't have time to read the full article you can download a PDF version and save it to your computer for reference. In a nutshell, there are different models you can use. We reviewed the waterfall, spiral, lean startup methodology and scrum. The latest trends brought us to discover MVP (minimum viable product), proposed by Eric Ries. His thoughts were to develop products based on validated learning and getting customer feedback often. Scrum was another method for project management through the product development phase. Its core values are courage, focus, commitment, respect and openness. It improves teamwork, communications and speed. 9 Best Prototyping Tools for 2017: Which is Right For Your Style? The business analysis phase of your product development cycle will help you determine the cost of production, selling price and potential sales volume. Cost of production: Production cost refers to the cost incurred by a business when manufacturing a good or providing a service. Production costs include a variety of expenses including, but not limited to, labor, raw materials, consumable manufacturing supplies and general overhead. Pricing: In many industries, the cost of production may be very low compared to selling price. The cost of production is often 5% to 10% of the selling price. Sales Volume: Sales volume equals the quantity of items a business sells during a given period, such as a year or fiscal quarter. Sales -- or sales revenue -- equals the dollar amount a company makes during the period under review. At some point, you've probably heard of the 4 P's of Marketing. This stage of the game is where they come to fruition. "The famous ‘4Ps of marketing’ are revered by some members of the profession, and scoffed at by others. Some see these fundamental tenets of classical marketing theory – referring to product, price, promotion and place – as the foundations upon which all sound marketing strategies are built. For others, they represent dusty old concepts that have failed to update to the modern, digital age." Great article to read by Marketing Week on the big debate: Are the '4Ps of marketing' still relevant? Matt Barwell, CMO at Britvic, comments "It is increasingly hard to separate price and promotion. It is more appropriate to talk about value. He goes on to say, "It comes back to how you deliver value to consumers through product, through experience and through a combination of price and promotion." With technology evolving at a rapid pace, you still can't forget the basics of marketing with the 4P's. They offer a strong determination/backbone to a marketing strategy. Test marketing is the time to test your product in action. When should I conduct a test market? What can I learn from a test market? How should I use information from a test market? "Test markets should be conducted to learn about the productivity of the marketing plan in terms of both consumer and trade response, to learn ways to improve the productivity of the plan, and to avoid potential disasters." 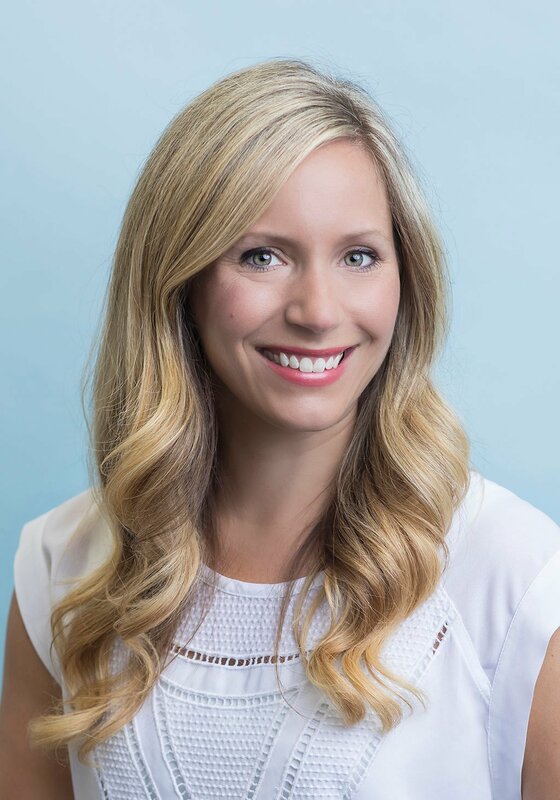 "Test marketing is the stage where all the variables in the marketing plan, as well as the product characteristics, are tested in a real - world setting. Test marketing is the final stage before commercialization, and is where all the elements of the marketing plan are tested." There is no doubt after all test results are in, adjustments in your products will still be made. 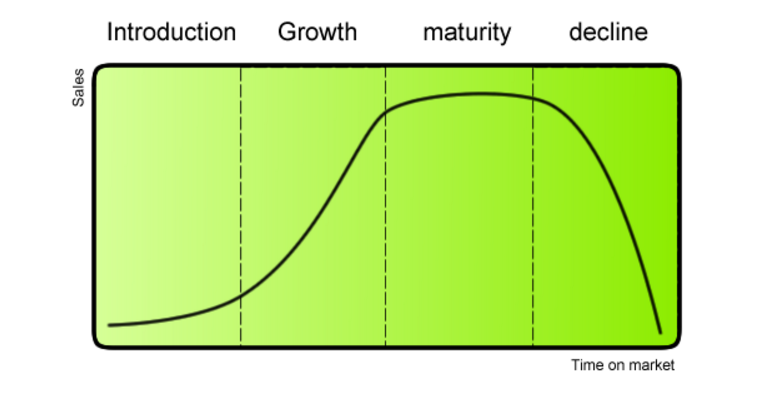 This will eventually lead into the stages of the product life cycle, which entails, introduction, growth, maturity, and decline. Just like every other phase, your product launch will go through stages. Your actual launch is the time your consumers first receive access to your product. Want to know some secrets on how to launch your new product? A successful launch begins with great timing. You might feel a sense of urgency to introduce your service, but rushing could spell disaster. Launching something new isn’t what it used to be; innovative tactics are required to cut through the noise. Not all product launches are successful. Apple's Disappearing Headphone Jack or Samsung Galaxy Note 7 Won't Stop Burning. Not every company or entrepreneur is going to hit it out of the ballpark. But there are ways to bridge the gap. Seriously, a word of caution here. Since the American Invents Act, the U.S. has switched from a “first-to-invent” (FTI) to a“first-to-file” (FTF) patent system. This means that the right to patent an invention goes to the first person to file the application as opposed to the first person to create the product. By having a working "prototype", it is easier to see a patent attorney and discover which aspects are patentable. If you find your self here because you need to build a product "proof of concept" that requires bright light, Lumitex can help. Or maybe you already have a prototype but you're interested in production options. Lumitex has affordable lighting applications/solutions that provide bright uniform light for any of your projects. 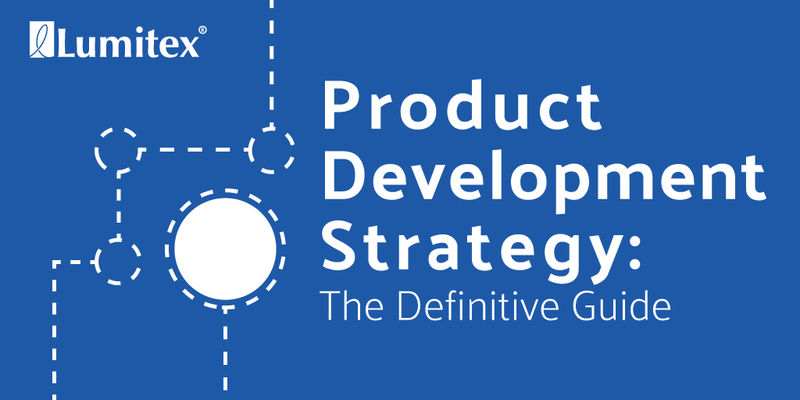 I hope you enjoyed the guide to product development strategy.